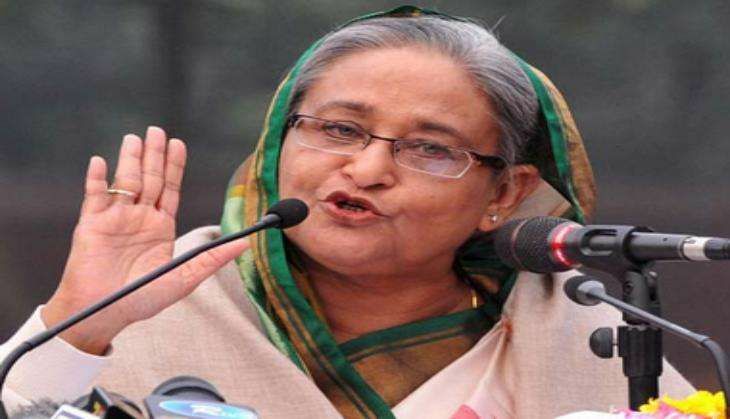 Bangladesh Prime Minister Sheikh Hasina today snubbed Pakistan and said that it is a defeated force and it doesn't matter what they say about their internal affairs. The Bangladesh PM said this while briefing the media on her two- week visit to the US and Canada. Pakistan had recently sparked a row after it took a dig at the country over war crime trials. Hasina, however, ruled out ruled out any possibility of severing diplomatic ties with Pakistan. According to media reports, Hasina while responding to a query regarding Pakistan's latest response to execution of a war criminal, she said that Pakistan is a defeated force and it doesn't matter what they say about Bangladesh's internal affairs. Speaking about the SAARC summit, the PM said that she she will not take an independent stand on it. While talking about the escalating tensions between India and Pakistan, Hasina said that Bangladesh is closely monitoring the situation and that it doesn't want another full-scale war in this region. She said that the country hopes that the tension and recent escalation of events will eventually end in a peaceful manner.